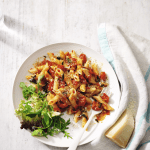 Continuing with our asparagus themed recipes for June, we’ve come across this delicious, fresh and healthy pasta dish that’s super easy- a perfect supper! Preheat a ridged griddle pan over a high heat. Brush the asparagus with a little oil and cook for 8-10 minutes, turning regularly until tender and charred. Meanwhile, cook the spaghetti in a large pan of boiling water for 8-10 minutes. Place the herbs, olives, pine nuts and Parmigiano in a food processor and coarsely chop. Add the oil and whizz to make a textured pesto. Drain the spaghetti, then return to the pan. 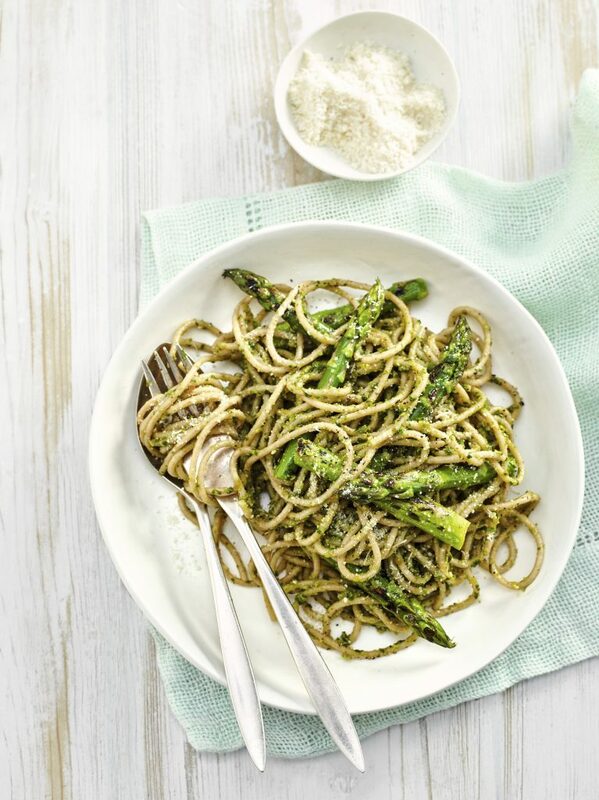 Stir in the pesto and asparagus and divide between 4 serving bowls. 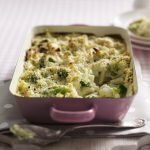 Top with a little extra Parmigiano and a good grinding of black pepper, and serve. Look out for Gran Moravia Vegetarian Hard Cheese for a delicious vegetarian alternative to Parmigiano Reggiano. 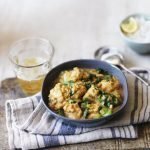 This recipe was provided by Waitrose, you can find more inspiration through their recipe site.